You can rely on our company to provide the deep and thorough disinfection of your rugs or their refreshing. We offer professional rug cleaning which can be used in domestic and commercial estates, located in London. Our cleaning technicians use the best cleaning machines, effective detergents and stain removers. They will choose the most appropriate cleaning procedures to disinfect and sanitize the rugs. The steam cleaning will extract all the grime from the rugs. 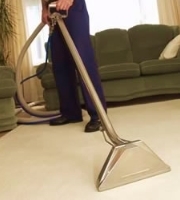 We provide dry cleaning on carpets and rugs with fine textures and vacuum cleaning for removing dust and visible dirt. Our rug cleaning is available every day in the week. All rugs need to be maintained properly on a regular basis to retain their colours longer and don’t get filled with microbes, dust or stains. Our company offers high-quality rug cleaning which can be used in houses, flats and commercial estates, located in London. Our staff of qualified cleaning technicians use modern steam, vacuum and dry cleaning machines, safe for the health detergents and stain removers. They can provide refreshing, deeper disinfection and proper cleaning for delicate rug fabrics. We can ensure the flawless condition of your carpets and rugs, regardless of their type. Our rug cleaning services are provided every day in the week. You can rely on our company to provide the professional rug cleaning which you need in your domestic or commercial property, located in London. The cleaning technicians who work for us are background checked, professionally trained and use the most effective cleaning equipment. They inspect every rug before cleaning it to select the machines, detergents and methods which will be necessary and most effective. We offer dry cleaning, vacuum cleaning on a regular basis and steam cleaning of rugs. Call us and speak with our phone operators to schedule the rug cleaning which you need and we will do it at a convenient time.